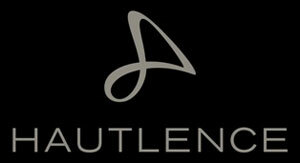 In March 2012, MELB Holding acquired the watch company Hautlence, founded in 2004. The watches of the company Hautlence characterize unusual design and are equipped with sophisticated features. Talented people, whose purpose was to create unique watches, founded this company. It is safe to say that they succeeded. Today the brand announces first positive results of work within the MELB Holding, which is engaged in two types of products - products in the luxury segment, and medical equipment. In a joint operation, the models of the brand Hautlence appeared in two new points of sale - Los Angeles and Dubai. In addition, the new models were released; they will be presented at the GTE 2013. The company Hautlence invites watch lovers to see the first three models of the collection Destination, which will be presented as part of a world tour. The new model Destination 01 by Swiss watch company Hautlence is presented in a case of titanium with DLC- coated. Waterproof up to 30 meters, the case has dimensions of 43.5 mm x 37.0 mm x 13.0 mm. Issued by the watch company Hautlence, the latest models are equipped with cases made of different metals. They are provided with the function of "jumping" hour and retrograde minute. The novelty Destination 02 by the famous watch company Hautlence is presented at the annual exhibition of watches and jewelry BaselWorld 2013. Swiss watchmaker Hautlence announces the release of its novelty HL 2.3, presented in black titanium case. The case length - 50 mm, width - 42 mm, thickness - 17.8 mm, water resistant - 30 meters. The total weight of the model is 49 grams. Case is polished by hand. The watch company Hautlence has released a novelty Avant-Garde Retrograde, which will be officially presented at the GTE, held from 20 to 24 January. The model is available in two versions: HLRQ02 and HLRQ03. Famous for its innovative approach to display the time, the watch company Hautlence from Neuchâtel again utilizes its design elements to create a new collection called AVANT-GARDE, where a inventive approach combined with a creative outlook of its creators. The watch company Hautlence has announced the release of a new wristwatch HL 2.2, in which the computer simulation and advanced design technology harmoniously combine with traditional watchmaking. LA CHAUX-DE-FONDS, June 2012 - Following on from the launch two years ago of the first models in the HLC line, Neuchâtel watch brand HAUTLENCE is launching an elegant rounded version, limited to 88 numbered pieces, which combines beauty and practicality while remaining true to the minimalist heritage of the very first line, the HL. Information watch portal montre24.com presents to attention an exclusive video clip, at this time dedicated to the company Hautlence. The watch company Hautlence was no exception, and also presented its latest product Hautlence 2012 at BaselWorld 2012. The Swiss watch company Hautlence pleasantly surprised its fans by presenting new classical model HLQ Classic, which is quite remarkable and interesting creation due to its unique design embodiment.